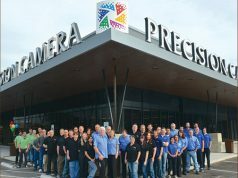 New York, NY—Adorama, one of the world’s largest photography, video, audio, imaging and electronics retailers, will be exhibiting at the 2018 WPPI Conference & Expo. 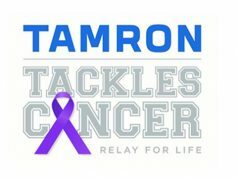 It will showcase its exclusive photography and lighting gear accessory brands—Flashpoint, Orlit, 3Pod and Glow—at booth #333. Taking place at the Mandalay Bay in Las Vegas, February 26–28, WPPI attendees can get hands-on with speedlights, flashes and monolights. Moreover, this includes the just-announced Flashpoint XPLOR 600 Pro from Flashpoint and Orlit. Also on view will be high-end tripods and monopods from 3Pod, as well as beauty dishes and collapsing softboxes from Glow. The retailer will also offer exclusive WPPI show specials. In addition, WPPI attendees can visit the Adorama booth for a chance to win a Sony 7R III digital camera. They simply need to have a show badge scanned to enter. 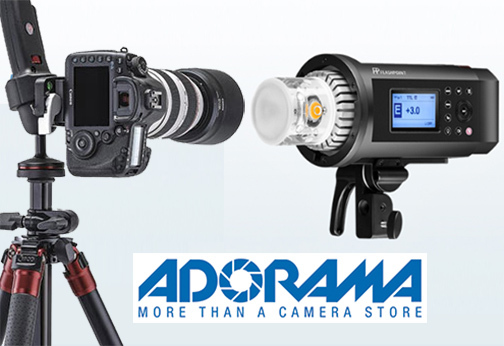 Moreover, experts from Adorama’s Trade and Used department will be on-site at the WPPI Expo to give attendees a free instant quote on their used photo and video equipment. Only available at Adorama, Flashpoint is known for its quality yet budget-friendly studio and on-the-go monolights, speedlights and flashes. 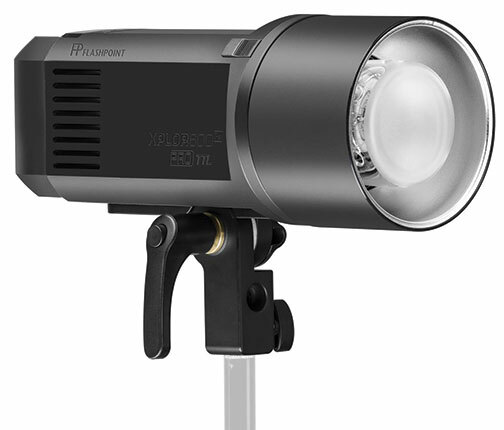 Attendees can visit Adorama for a demo of monolights, like the new. It boasts a recycle time of less than one second. Furthermore, Adorama will show Orlit’s TTL (through-the-lens) and HSS (high-speed sync) studio monolights with wireless control for Canon, Nikon and Sony photographers. They are ideal for wedding photographers seeking out a lighting system that can be controlled from just about anywhere in the room. 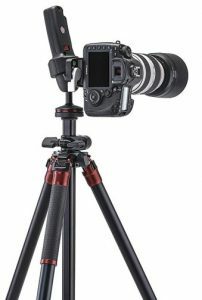 They are also suitable for portrait photographers looking to eliminate excessive wires from the studio. On view will be the Orlit RoveLight RT 610 TTL monolight. The 600ws wireless TTL monolight is engineered to break the Canon RT barrier. It also works with Nikon and Sony Orlit triggers. They feature a dedicated Orlit smartphone app to give photographers control of the monolight’s settings right from a smartphone. 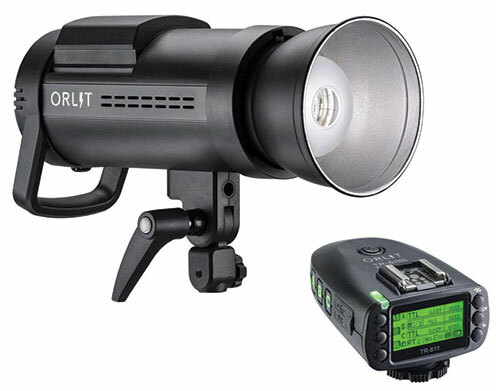 Additional Orlit products on display at WPPI will include the RoveLight RT 601 manual HSS battery-powered monolight and also the RoveLight RT 600/800AC TTL studio monolight with integrated RT radio remote. Tripods and monopods from 3Pod are designed to bring stability to even complex shooting situations, with carbon fiber and aluminum options for both photo and video. The 3Pod Orbit four-section carbon fiber handheld monopod features the Orbit pivot base. It allows the shaft to fluidly rotate for smooth pans, tilts and other specialty shots. Glow light modifiers are built to be a photographer’s best friend when creating portraiture. The Glow 17-, 22- and 28-inch white beauty dishes for any light mount feature diffusion properties using a double parabolic reflector system.